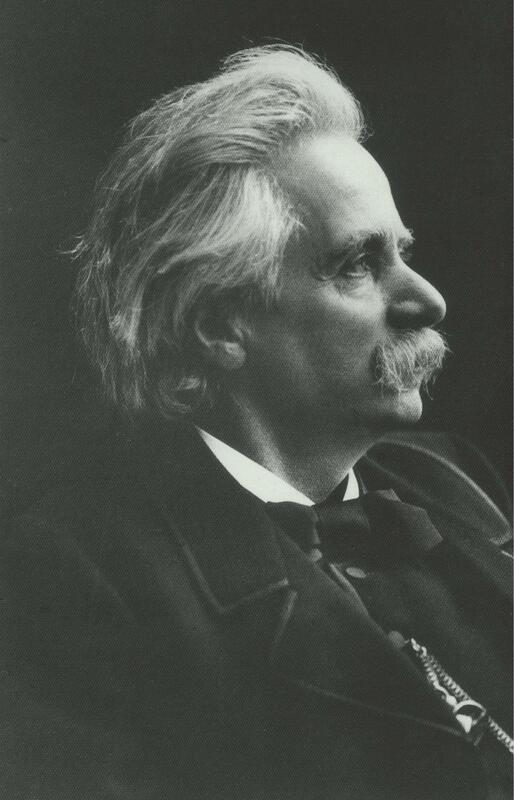 Have you ever heard Edvard Grieg playing his own works? We're not talking about an ancient crackly recording but recent recordings created using the very latest technology. In 1906 Grieg (1843-1907) made some recordings which were captured on Phonola music rolls, and in 1921 Percy Grainger (1882-1961) recorded the Grieg Piano Concerto on similar though more modern Duo-Art music rolls. In this way their performances were captured rather than the actual sound produced, and for this album those performances were played back or re-performed on a Steinway grand piano. In the case of the Grieg Piano Concerto, the Kristiansand Symphony Orchestra was conducted by Rolf Gupta while the Steinway replayed Grainger's unique interpretation of the concerto. As a young man Grainger had befriended the older Grieg who said at the time "I had to become sixty-four years old to hear Norwegian piano music interpreted so understandingly and brilliantly." So we have the composer's endorsement for Grainger's interpretation recorded for posterity several years after Grieg's death on a Duo-Art reproducing piano which stored all nuances of the performance as perforations in a paper roll. 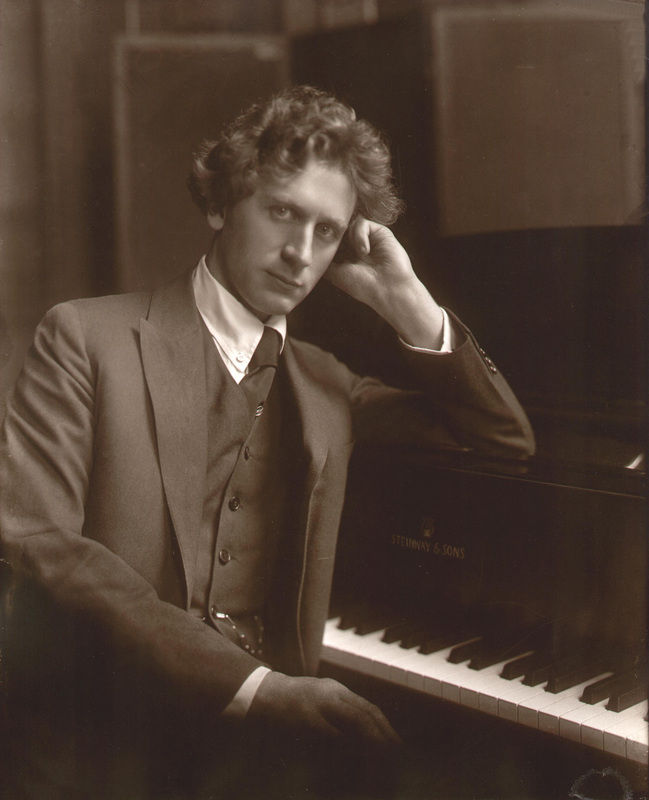 Percy Grainger was to become a successful composer in his own right, but it is clear from this recording why his skills as a pianist caught the attention of Grieg. The intrepretation is substantially different from the average performance of the Grieg Piano Concerto that it stands out as unique. Yet his obvious understanding and love for the music shines through strongly and flows in a genuine and utterly consistent way. If you like classical performances to be both bold and captivating then you won't want to miss an opportunity to hear this interpretation. It's appropriate at this point to acknowledge the skill of the conductor and orchestra. They don't have a live pianist to interact with through body language and eye contact, yet they have succeeded in following and complementing every nuance of this historical performance and brought it to life. 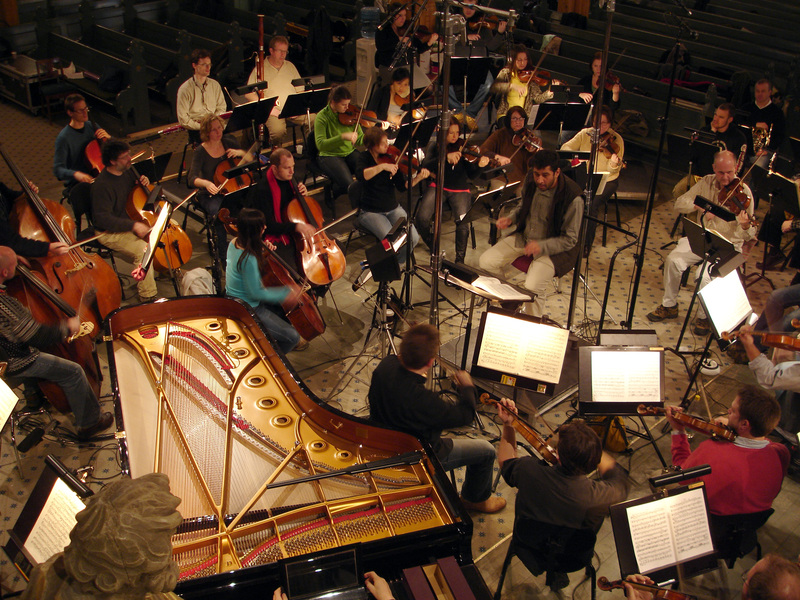 The accompanying photos show the arrangement of the Kristiansand Symphony Orchestra and piano around the conductor Rolf Gupta to create the surround-sound recording. As previously mentioned, this release also features recordings of the composer Edvard Grieg captured in 1906. 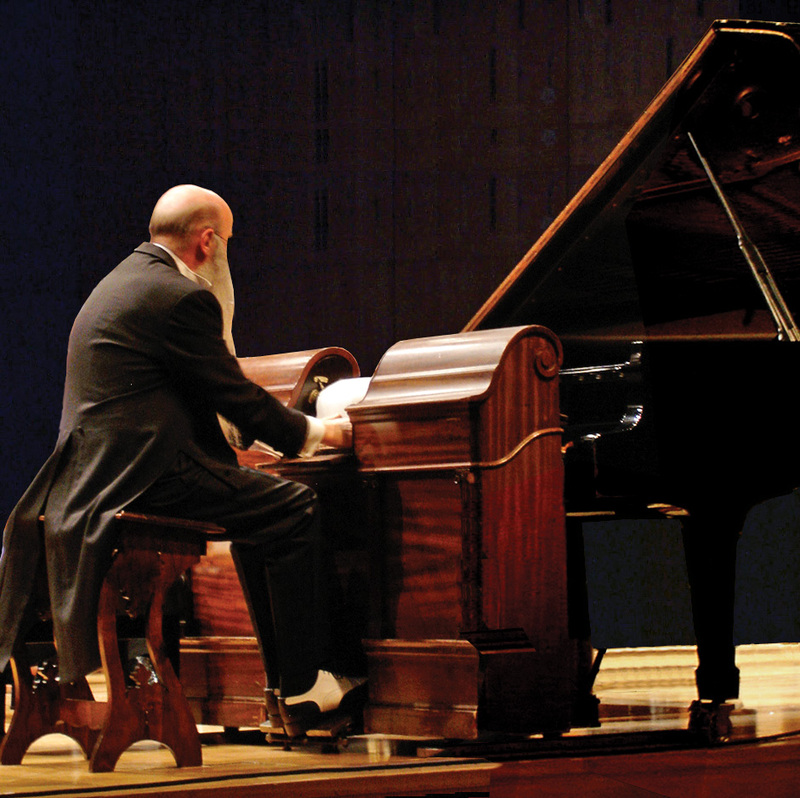 These were captured on a different instrument and were recreated by expert Rex Lawson using a foot-pedalled pianola operating the same steinway grand piano. The solo piano pieces are Grieg's familiar "Wedding Day at Trondhaugen" from his Lyric Pieces, the first two pieces from his Album Leaf op.28, and his "Erotik" also from his Lyric Pieces. Another of Grieg's Lyric Pieces "To Spring" is played again by Percy Grainger. 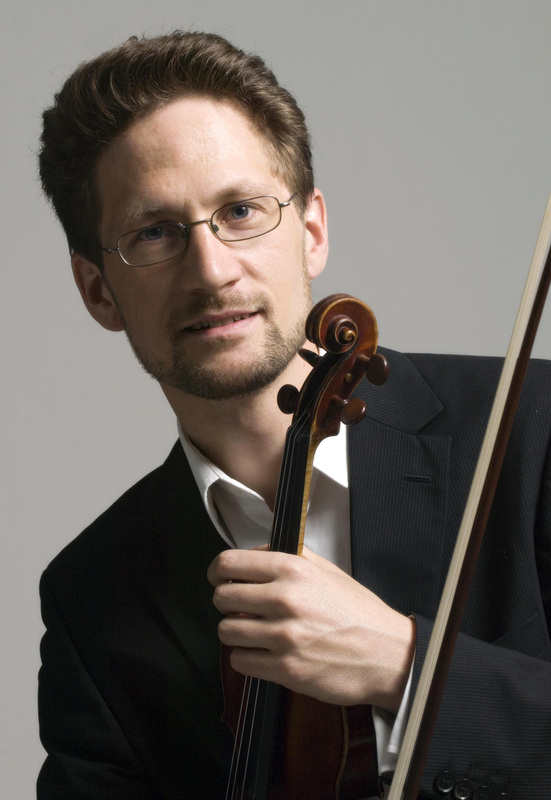 The album concludes with a performance of the composer's Violin Sonata in Cm, with Øyvind Bjorå on violin, and Rex Lawson again operating the pianolo. The Blu-ray Pure Audio format has been pioneered by Lindberg Lyd and offers the music in an unprecedented range of high-quality formats. These include 5.1 surround sound at 24bit 192kHz, 7.1 surround sound at 24bit 96kHz, and 2.0 stereo at 24bit 192kHz resolution. For those who don't have a Blu-ray player the pack includes an enhanced (SACD) super audio CD. As if this weren't enough, purchasers of the album will also gain access to a number of bonus tracks for download. These are available in the loss-less FLAC audio format in various resolutions or in high-quality mp3 format at either 224kbps or 208kbps. The solo piano pieces are either played by Grieg or by Arthur De Greef who was a contemporary and friend of Grieg. In all cases these performances have been captured and played back using a mechanical device, though in the case of Grieg's performance of "Butterfly" this was converted from a pianola recording to Duo-Art format some years after the composer's death. Details of this release and purchasing details can be found at Lindberg Lyn and high-resolution downloads at www.2l.musiconline.no. More information about the historical context of this release is at www.griegpianoconcerto.com.